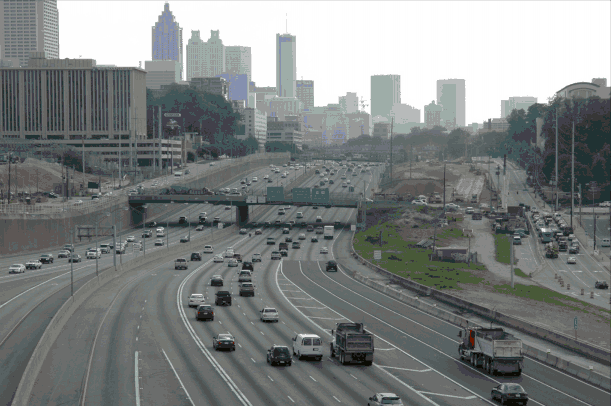 Georgia Tech’s Advanced Civil Infrastructure Management course is also known as “Boot Camp,” and for good reason. It allows students to gain in-depth knowledge, develop mini-projects, and network with other students with similar research interests. The Boot Camp gives students an immersion experience in an infrastructure management course focused on physical assets. Transportation Systems graduate students Margaret-Avis Akofio-Sowah, Richard Boadi, Janille Colin-Smith, Chenglong Jiang, and Ross Wang, along with Building Construction graduate student Kia Mostaan participated in the two-weeklong intensive course from June 3 to June 15, 2012. The four-credit course brings together students and instructors from Georgia Tech, University of Delaware, The University of Iowa, Purdue University, The University of Texas at Austin, Virginia Tech, and University of Waterloo. Topics include infrastructure performance, data management, deterioration modeling, sensors, risk and reliability analysis, optimization, and research methods. Angela Alexander, director of organizational performance management at the Georgia Department of Transportation (GDOT), offered a guest lecture on the implementation of asset management as a business process within the agency. The course project required student teams to develop an asset management implementation plan for GDOT. The 2012 Boot Camp instructors included Adjo Amekudzi (Georgia Tech), Gerardo Flintsch (Virginia Tech), Samuel Labi (Purdue University), Hosin Lee (The University of Iowa), Sue McNeil (University of Delaware), Lisa Rosenstein (Georgia Tech), Susan Tighe (University of Waterloo), James Tsai (Georgia Tech), and Zhanmin Zhang (The University of Texas at Austin). The course was co-sponsored by the NCTSPM.